Family adventure is always fun and it’s at its best when you can find something for everyone. Seeking out the best attractions when you visit any area is always the hardest thing to do but as with any vacation, planning ahead is always important. Smile are my radar for fun! Family fun provides smiles from the littlest tourist to big wide grins from the oldest. The happiest person on a family vacation is generally MOM when she can get those teens to dawn the pearly whites. 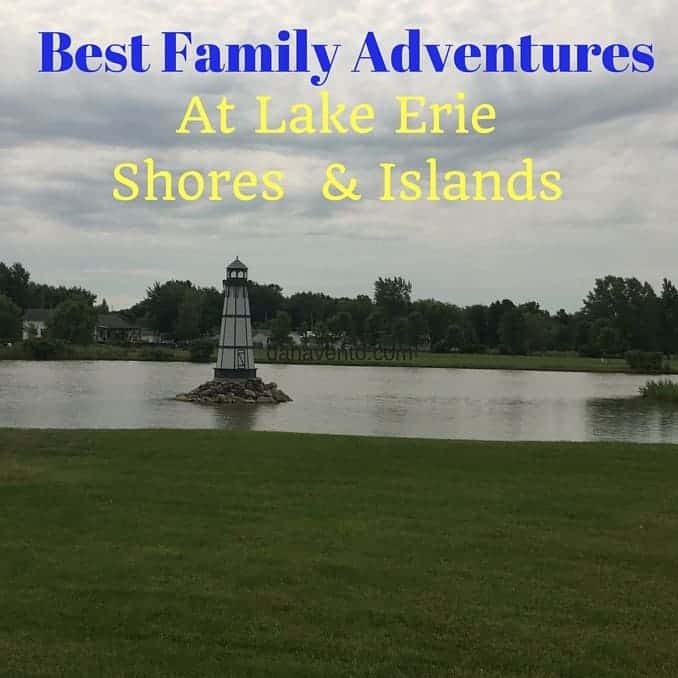 I have found the Best Family Adventures At Lake Erie Shores & Islands as they will please every genre in your travel group. As a travel writer I look for attractions that range from active adventure to slow strutting so that every day can move at a different pace and that seems to help in creating the best of the best tags when we travel. Lake Erie Shores & Islands encompasses the Sandusky, Ohio area, and includes : Village of Put In Bay, Lakeside Marblehead, Port Clinton, Huron, Cedar Point, Kelley’s Island, Middle Bass Island, and South Bass Island. Lavishly live travel out loud and make a list of the best family adventures at Lake Erie Shores & Islands so you too can experience them. Where do you look to seek out the best Lake Erie Shores & Islands family attractions? 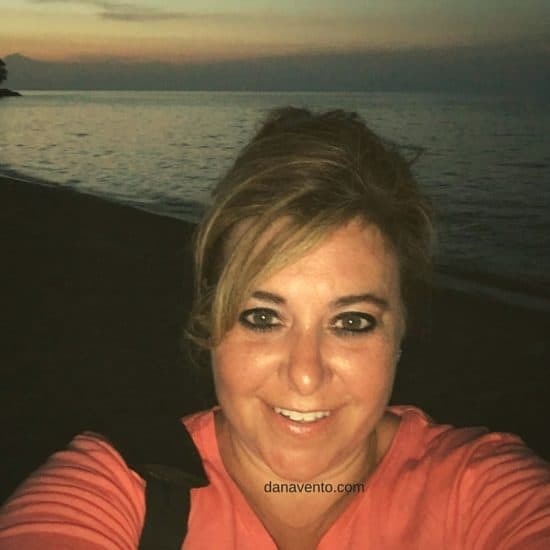 This is easy to do, because you can head to the Lake Erie Shores & Islands website to get an overview of everything that is available and then begin narrowing it down to budget, ages and how much adrenaline rush or activity you want. From this point the fun it all up to you, your planning skills and your family! Here’s the list we used to get the most out of our few days at the Lake Erie Shores & Islands area. Remember I have 3 teens who love adventure, history and getting out there to learn what the area is about so our trip reflects this moda. The Sandusky, Ohio area is interchangeable with the name Lake Erie Shores & Islands because the area borders the Lake Erie, has water-sports, water activities and beaches that you can head to in order to cool off from warm days. Additionally, the area offers Island Hopping and fun family adventures on these islands. However, it’s not just about hopping to an Island as Sandusky, Ohio has awesome water-parks, beautiful lighthouses, grand state parks, animal attractions, and museums with history. How did we spend our time and what adventures did we take? With three teens ranging from 13-19 there were no questions in my mind about the places we would visit. The kids love adrenaline rushes, 2 are height junkies, and they all love water-parks making this easy to plan. I am all about lighthouses and I mark them off my bucket-list as we visit them all over the USA. I never realized my infatuation with lighthouses until last year when we visited the Outer Banks and headed to Hatteras Lighthouse, Bodie Island Lighthouse, Ocracoke Lighthouse and the Cape Henry Lighthouse. I love the history that accompanies a lighthouse, the kids love to climb to the top of the lighthouses and the photos always leave me breathless when I look at them! Marblehead Lighthouse offers a nominal fee of only $3 so you can tour it to the top and then capture grand photos from up there. From below, if you walk the park you can see Cedar Point across the way and of course you will see sailboats and people on jet skis. There are plenty of places to take awesome photos here, so make sure you have your camera ready. There are bathrooms (outhouses is more what I would term them) but they are there. Parking is available, but it gets jammed up right when it opens (at least it did while we were there) Parking is free. Providing yourself an hour is plenty, unless you plan on walking around more than that. Do you love animals and crave a trip to Africa? Well, this may not be Africa but the fun is definitely a wildlife park. Set your GPS to 267 S Lightner Rd, Port Clinton, OH 43452 and you will have discovered fun for the family. You arrive at the gates, pay a fee for each person in the vehicle and the attendant will ask you if you want to purchase food. If you don’t make a decision right away, you can also purchase it right before you go into the secondary gate attendant (as you gain entrance to the park). This journey may not be for everyone, if you don’t like being closed in a vehicle, if you don’t like animals approaching your car, licking your mirrors, rubbing up against the car or sticking their head inside your windows, don’t go. Yes, all of this will happen and I have photos to show that! Need a little more insight? See a little bit of what happens when you are in the park, or maybe it was just our lucky day, take a look HERE! 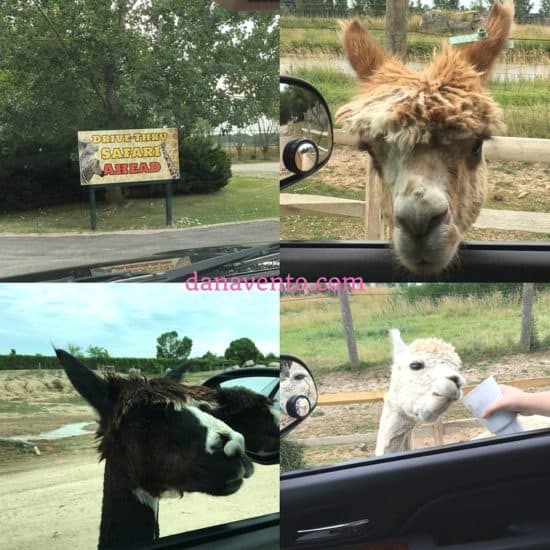 Suggestion: after you leave this attraction you may want to find a car wash because the animals do come up to the car, a few licked my windows, the paint, rubbed up against it and yes they leave dirt, nothing that won’t wash off, but be warned, this happens! The kids LOVED this experience. Tip: If you don’t want the animals to stay around your car, leave your windows up. If you want them to be around your car, leave your windows down and offer the cup of food. Really hold that cup of food because once they start eating they are moving that cup all over. Be prepared to explain the birds and the bees, as you never know what you will see. No one here is shy, the animals will come up to the car, and you drive very, very slow. The attendants tell you where you can begin feeding and so do the animals. 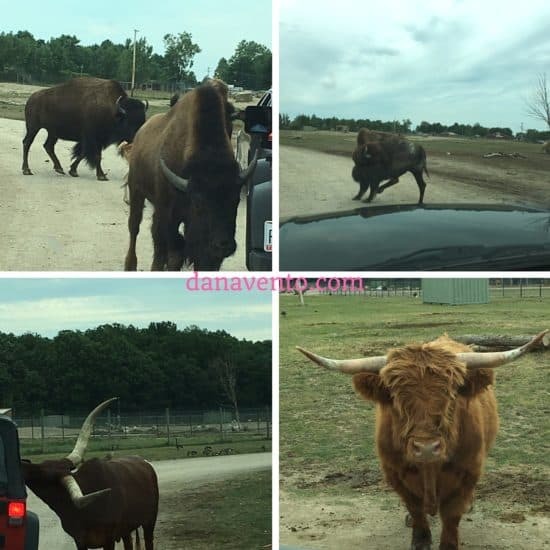 The animals will stick their face right at your window, they are not a threat it will just take you back a bit if you have never experienced a drive-through animal park. What animals did we see today? Alpaca (lots of them), Bison, Fallow Deer (by the herd), Sika Deer, Elk, Giraffes and Zebras. Get there early, as it is a popular attraction. Who is ready to splash, swim, tube, and run that adrenaline with a fabulous day at an incredible waterpark and resort? If you think the front desk and outside entrance look fab, wait until you see the inside and the experiences waiting for you and your family. 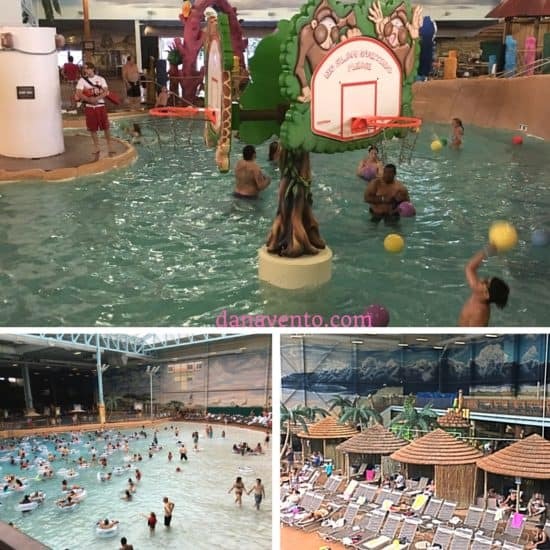 Multiple pools for swimming, body slides, tube rides, family tube rides, wave pools, hot tubs and fun abounds in this huge waterpark. Travel adventure here could easily have you spending more than one day. We actually got there ahead of check-in (because you can) and we played the afternoon away. When our room was ready, they texted us, we unloaded the car, and then we went right back to playtime in the park! Don’t bring towels because you won’t need them. Walk up to the attendant and they will hand you one. Yes there are lockers you can rent, and anything we wanted we charged to our room (wristband) so we had to carry NOTHING around with us all day long, making it perfect. 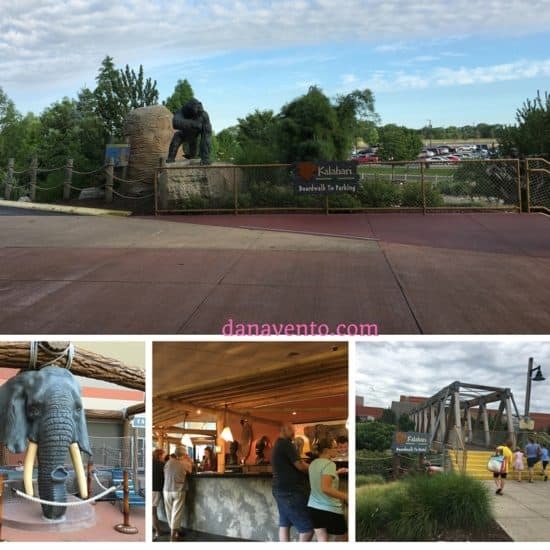 Walk around before you get on a ride, so you can see how much there is, we almost missed the Lazy River because the park is so big and we did not venture to where it was initially….. then we saw the lazy river tubes and followed the source! You can get a sunburn if you sit up on the upper deck and it gets VERY warm. Yes there is plenty of seating and so many places to eat and drink from. Donut-tubes in the wave pool are for everyone, they are not rentals, so if one is free enjoy it. (one family we saw spent about 15 minutes debating this) and the park is open until 10 at night, however the outdoor area closes at 8 PM. As a side note, Pokemon Go is very active here and my kids capture a few rare as well as the normals, just by walking the halls. Long days of swimming and riding, create the need for nice accommodations where you can just collapse. The rooms are well-appointed and have lovely amenities for families like refrigerators, hairdryers, a microwave (popcorn), and a drying line for bathing suits. The 2 beds and roll-out couch were a bonus with 4 of us in a room. The WiFi works perfectly here and I can not praise them enough for this! Safes in the room are yet another nice feature and I mention this for all those that prefer to lock up their phones and wallets while they are at the park! Check-in and Check-out are a breeze and the ability for the kids to get what food and snacks they wanted with their wristband and not having to drag me was a real plus! What’s better than 365 acres of an amusement park? 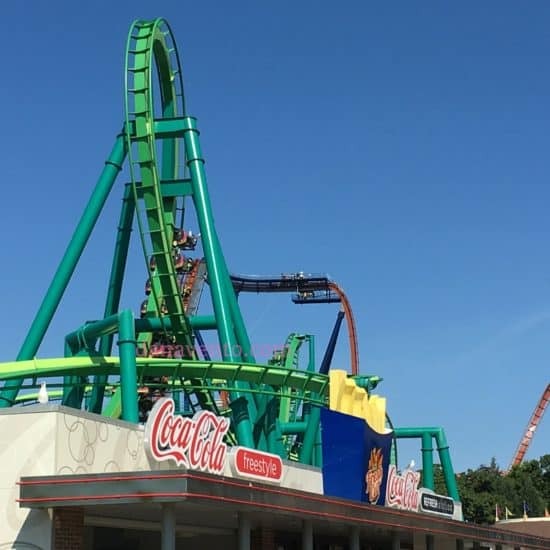 How about 17 Roller Coasters for those that love the thrill of a coaster. A great way to spend the day in the Shores & Island area of Erie right in the heart of Sandusky, OHIO. The location of this park is what makes it special as well because it sits on a peninsula in the Sandusky Area. 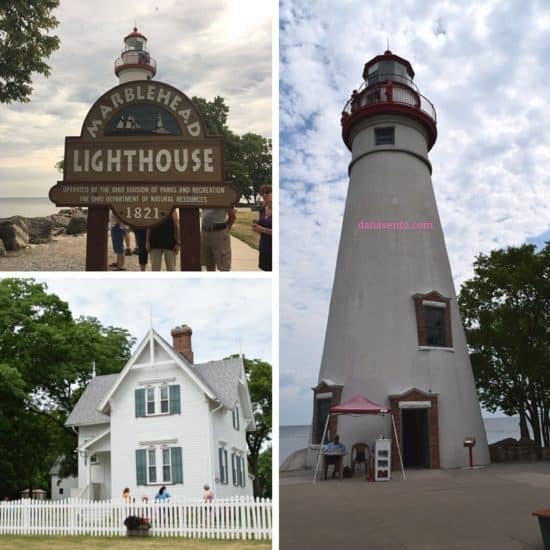 If you venture to the Islands you will see it when riding in the boats, and if you visit Marblehead Lighthouse State Park you will also see different views of Cedar Point’s location. There are rides for everyone in your family, however, the walking encompasses a large area. Families are all over the park, kids and moms, dads, grandparents, all enjoying the rides, the attractions, the food! The best thing I can tell you to do is to purchase the Fast Lane if you plan on riding coasters. Even during the week the lines were up to an hour wait and in the sun that is no fun, so if you adhere to ONE tip it would be this. We did find that by 4 in the afternoon, the lines drastically reduced and were on average of about a 1/2 hour wait, depending what coaster you were waiting to get onto. Don’t miss the wooden coasters as they are part of the magic of the rides and truly from back-in-the-day. The ‘clickety, click’ as they head up the track provides a cool effect for those enthralled with coasters. A trip to Put In Bay is family perfect as it offers shopping, dining, drinking, sightseeing and something for every age. If you don’t want to walk from attraction to attraction, rent a golf cart, or a few bikes (make sure to see where to find the Best Golf Cart Rentals On Put In Bay). Put In Bay is a village on South Bass Island. You take Jet Express or Miller Ferry over to the Island. With Jet Express our trip over was 45 minutes, including a stop at Cedar Point and Kelley’s Island where we dropped off and picked up passengers. Travel Tip: I advise early in the morning, (early bird catches the worm) and the island seems to wake up pretty good by 2P so earlier is better. To get to the island from Sandusky, we went to Jet Express, parked at their lot (tons of parking and its free), and got on the Jet Express. The total time of the trip as I mentioned was about 45 minutes. There is seating that is inside and there is outside seating. I chose to ride outside in order to take photos, my kids rode inside to stay out of the sun. There are tables that you can sit at and you can bring food on the Jet Express, you can not bring alcohol on (you are headed to PIB so I think you can find all the alcohol you need there, trust me). You hand your ticket to the attendant as you load the boat and one as you get off. Jet Express will have time-stamped tickets keeping their transportation system VERY ORGANIZED and not oversold (thank you)! Get there at least 15 minutes ahead of time and get your tickets at the ticketing window. 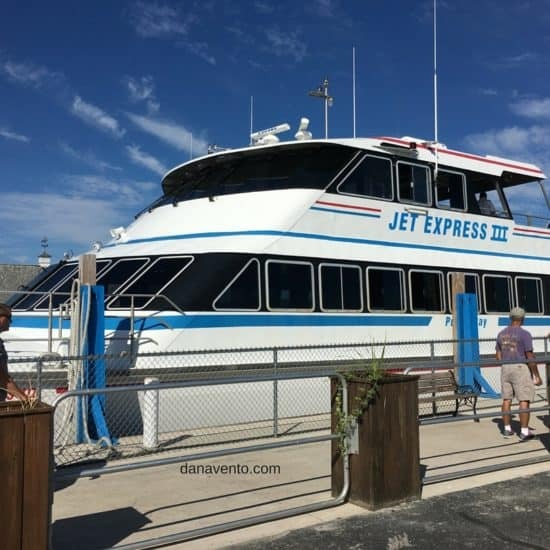 There are restrooms right at the port, and there is also a restroom on the Jet Express. The ride on top can get a bit bumpy/rocky so keep an eye on your kids. You load into one side of the Jet Express and get off on another. If you buy wine at Heineman’s Winery, they will bring it to the dock for you, you just pick it up at guest relations (get there ahead of departure). Visiting this area would not be complete without a dip in the lake and a visit to the beach, and you can have your cake and eat it too if you stay at the Sawmill Lodge Resort. From waterswings, to a private, sandy beach, you can have a fun day in the water or by the water. Access is restricted to guests only and you do need a pass to get onto the beach. This is the perfect place for night time photos or daytime activity. Water rentals from boards to kayaks are available and there are seats. Best Family Adventures At Lake Erie Shores & Islands are just waiting for you to lavishly live travel out loud and enjoy! Which adventure will you take? I was provided entrance to each of the aforementioned activities, however, opinions, story and images are my own based on MY personal experience as I lavishly live life out loud. 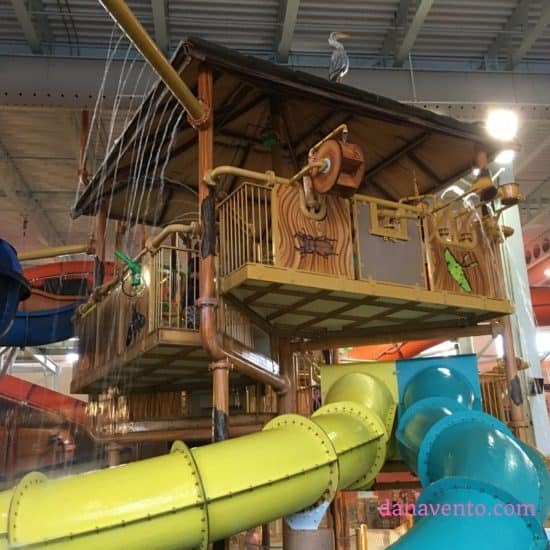 The Best Family Adventures At Lake Erie Shores & Islands you share in this great post is really fun and composed of different aspects and suitable for different ages. It is really suitable for family for their vacations. That’s a lot of fun and adventure in just one post! Fortunately I’m the type of person who wold get excited being enclosed and surrounded by animals so I’m in for the Safari ride! 17 rollercoasters sounds like overkill for me though! But of course, one ride’s thrilling enough for me. Wow, what a wonderful adventure. I want to go there and bring my family and have so much fun. Cedar Point is our fave. We like it there better than Disney. SO SO SO many rollercoasters. My husband has always wanted to take me here but I never got to go. Maybe one day! It looks like a blast and so gorgeous! OMG! i Wanna go here! looks fun! I love that there are a few places to experience wildlife! 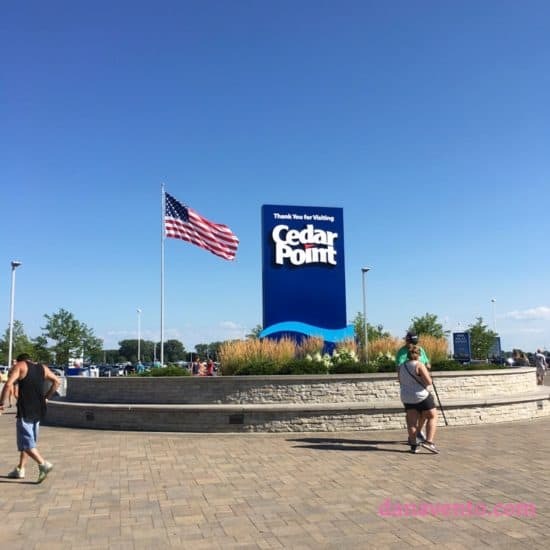 Cedar Pointe will always be one of my favorite amusement parks too. That sounds like a ton of fun. All the animals and water would be so much fun. I know my family would enjoy going there. That’s pretty awesome! The whole place is filled with activities for the whole family to enjoy. I think the kids will love Kalahari the most, it has a waterpark and the place is just awesome! 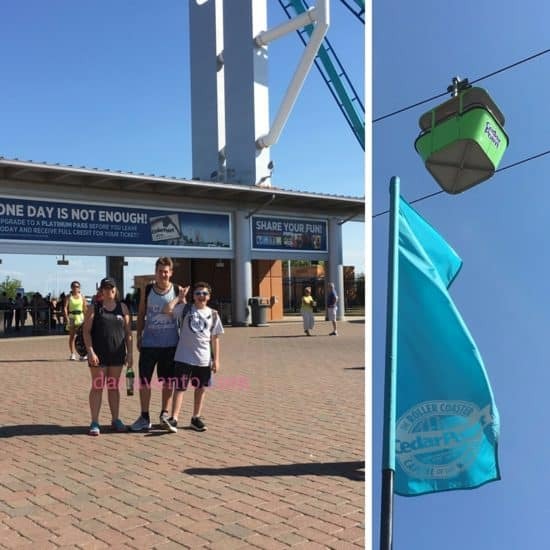 I have family in Ohio so we visited Cedar Point when I was a kid. I still have fond memories of our trip there. 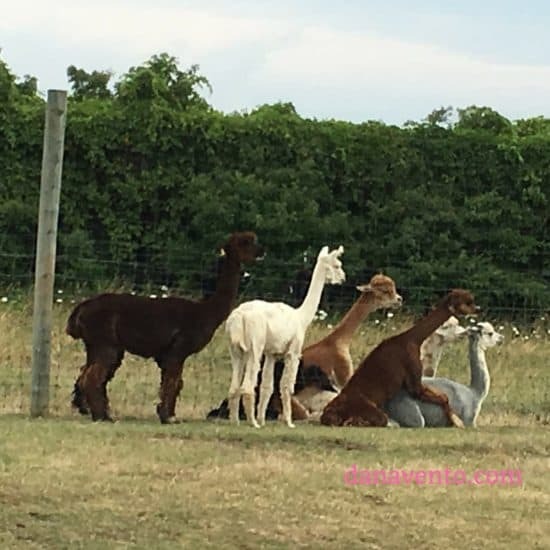 On a completely different note, I had to laugh out loud when I saw the picture of the llamas enjoying some quality time. I’m sure that made for an interesting discussion lol. These all look like a great deal of fun! I would love to come over to US and visit places like this one day with the kids! Sounds like a fun family adventure. I would love to get there someday.